A Lamb is P.W. Bridgman’s first collection of poetry. Comprised mostly of narrative poems, A Lamb was released in September, 2018, and will soon be available at better bookstores. It is however available now, directly from the publisher Ekstasis Editions, by clicking on this link. As was the inimitable Seamus Heaney, so also is P.W. Bridgman concerned with the “sway of language and its furtherings.” The mostly narrative poems gathered together in A Lamb, Bridgman’s first volume of poetry, comprise a diverse assemblage. They speak to the reader in markedly differing voices and accents. They give expression to insights and revelations, large and small. They present fleeting glimpses of splendour and of dread alongside pings of epiphany, incanted and decanted from the poet’s experience and imaginings. 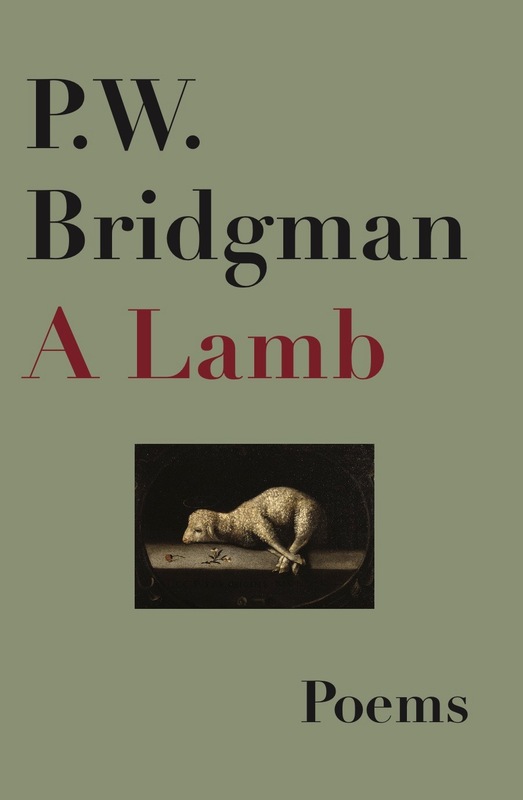 Bridgman engages, of course, with the big themes—love and loss, darkness and light, life, death and redemption—but he does so with humour and wit. Expect to find instances of whimsy and beauty in these poems. Be prepared too, though, for moments of crushing darkness and for the occasional withering dismissal of the banal and corrosive “values” which have migrated insidiously from the marketplace and taken hold in the politics and public discourse of our troubled times. Standing at an Angle to My Age is P.W. 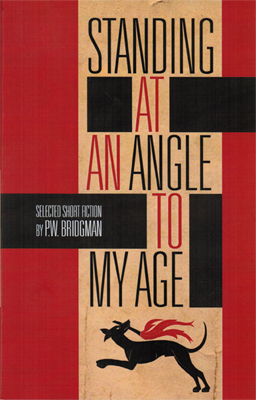 Bridgman’s first collection of short stories and flash fiction. It can be purchased at better bookstores, or from Chapters/Indigo, Amazon, Barnes & Noble, iTunes, and Waterstones. P.W. 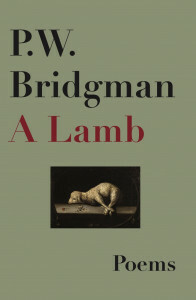 Bridgman’s fictional writing explores universal themes of forgiveness and redemption, of love and loss, of hope and hopelessness and darkness and light. The author is concerned—as are so many of us—with the lineaments and poetic chiaroscuro of seemingly ordinary lives. Set mainly in Canada, Ireland and England, the stories that comprise Standing at an Angle to My Age cut across broad expanses of time, space, culture and circumstance. An aging pensioner in a Northern Ireland town suffers from dementia. During a fleeting and poignant moment of unexpected lucidity, he reveals a sharp awareness of the human decency for which he is indebted. Its source gives a turn to the less discerning members of the family that had taken him in years before. A 13-year-old girl in Timmins, Ontario is forced by tragic circumstances to grow up too quickly as she watches the man she believed was her father learn a painful lesson at a time when it is too late for him to profit by it. A precocious youth on the brink of adulthood pursues an amateurish quest for Eastern mystical truth and discovers—unexpectedly, in a middle-aged co-worker at a Vancouver Island corner grocery—a quietly inspiring example of Siddhartha-like wisdom.